Millard Fillmore Cochell, 88, of Mesa, Arizona passed away April 15th, 2018. Murph, as he was commonly known, was born November 25th, 1929 in Long Beach, California. As a child he demonstrated a gift for music. His favorite instrument was the mandolin, although he could play the guitar, banjo, and violin. His mother was a concert pianist and to her dismay he never wanted to play the piano. She took him to a pawn shop when he was 11 years old and he saw a mandolin and asked her to buy it for him. She agreed, but he was told he had to learn to play it by himself. Murph took to it naturally and thus his life long passion was born. After serving four years in the Navy his sister Nancy introduced Murph to Wanda Darlene Reed. Love struck them both and they solemnized their marriage on March 1st, 1953. As Murph, often said, “the babies came faster than the paychecks.” He became father of six children, Karen Kay, Monty James, Perry Lamar, Murphy (who was stillborn), Kenneth John, and Catherine Ann. He instilled within his children the love of hard work and the desire to overcome life’s difficult challenges. Alcoholics Anonymous was a very important part of his life. He was proud of over fifty-four years of sobriety. Throughout his life Murph sponsored and blessed the lives of countless individuals who were seeking freedom from the disease of alcoholism. His strong belief in others and willingness to sacrifice for their welfare made him an icon within the “AA” community. Murph was a member of the Church of Jesus Christ of Latter-day Saints. He and his beloved wife were sealed for time and all eternity in the Salt Lake Temple. Darlene, as she was affectionately known, passed away December 2nd, 2002, after a long battle with cancer. Murphy’s loving devotion and tender care for her provided a beautiful example of marital love for his children. 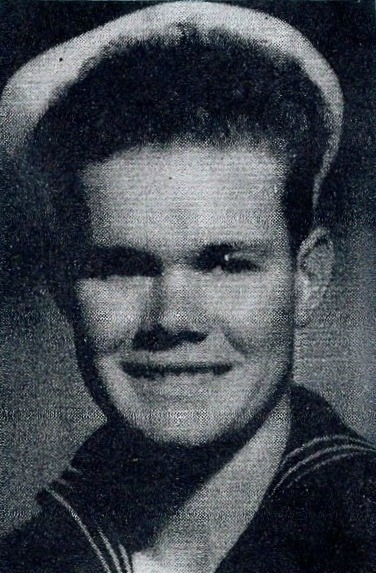 Murphy is survived by his five children and spouses: Karen Kay and Faunteni Kaufusi of Boise, Idaho; Monty James and Jana Cochell of Salt Lake City, Utah; Perry Lamar and Karen Cochell of Bountiful, Utah; Kenneth John and Linda Cochell of Mesa, Arizona; Catherine Ann and Mark Schiefelbein of Boise, Idaho; and 28 grandchildren and 33 great-grandchildren. He is also survived by his sister Nancy Rose Archer of Caldwell, Idaho and his Uncle Douglas John Grigg of Kuna, Idaho and two sisters-in-law, Julia H. Falkner and Twila Greenheck. He was preceded in death by two granddaughters, Ashley and Erika, his parents, Ruth (Grigg) and Millard (Ted) Cochell, sister, Barbara (Fuson) Cochell and brother, Lamar (Ted) Cochell. A funeral service will be held at 10:00 AM, with a visitation one hour prior, Friday, May 4, 2018 at The Church of Jesus Christ of Latter-day Saints, Alta Mesa Stake, 5350 E. McLellan Road in Mesa. The pain of losing a loved one is oh, so real. May you find some comfort in the Most High God’s word (Psalms 83:18) . Yes, He promises a time when we can see our loved ones again(Acts 24:15) in perfect health(Isaiah 33:24) and He says where: Psalms 37:11. May you hold on to God’s promises. May comfort & peace be with you.